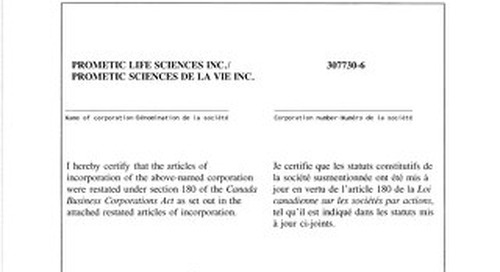 Prometic Life Sciences Inc. articles of incorporation were restated under section 180 of the Canada Business Corporations Act as set out in the attached restated articles of incorporation. The Chair has strong leadership skills, and is available in order to facilitate the accomplishments by the Committee of its mandate. 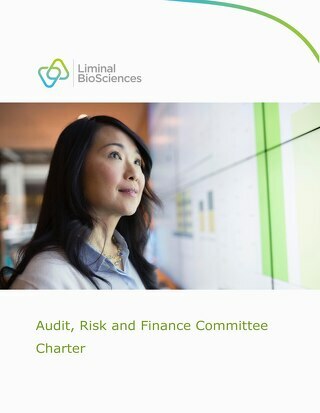 The Committee is mainly responsible for the corporation's financial reporting process, process to identify & manage risks, internal & external audit process, communication systems & capital structure. The Human Resources and Compensation Committee is responsible for assisting the Board of Directors in the discharge of its responsibilities regarding recruitment, evaluation, compensation etc. 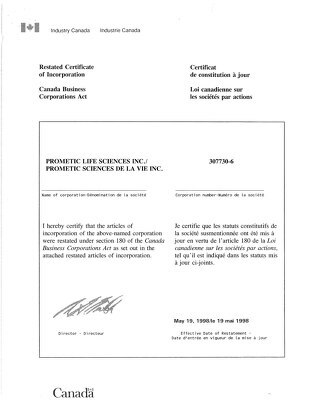 The Board of Directors of Prometic Life Sciences Inc. is ultimately responsible for the stewardship of the Corporation which means that it oversees the direction of the Corporation. The chairman of the Board of Directors of Prometic Life Sciences Inc. chairs the meetings of the Board and assures its good functioning and the good functioning of the committees of the Board. 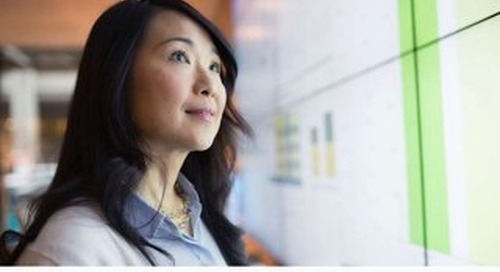 The Chief Executive Officer is accountable to the board for the effective overall management of Prometic's business, and for the execution of the Board's strategic decisions and policies. Full detailed breakdown of Prometics Code of Ethics and Business Conduct for 2017 including details on regulatory compliance. The Board of Directors of Prometic Life Sciences Inc. believes that each board member should carry the confidence and support of the shareholders.